Powerful people are be given access to power more frequently today. Help ProPublica call them out, and expose what these people are actually doing with their power. More frequently since the recent election, rich and powerful people are being appointed to office who have no idea what they are actually doing. Money=power and unfortunately these people have been given the power over an entire country. ProPublica is dedicated to exposing what these “powerful” people are actually doing. Donald Trump has an agenda for the United States, and on the way to his agenda, he is appointing wealthy individuals to positions of power that they have business holding or even any knowledge of the job. ProPublica is “calling” out Trump, the decisions he is making, and what all of this means and whether it’s actually legal or not. 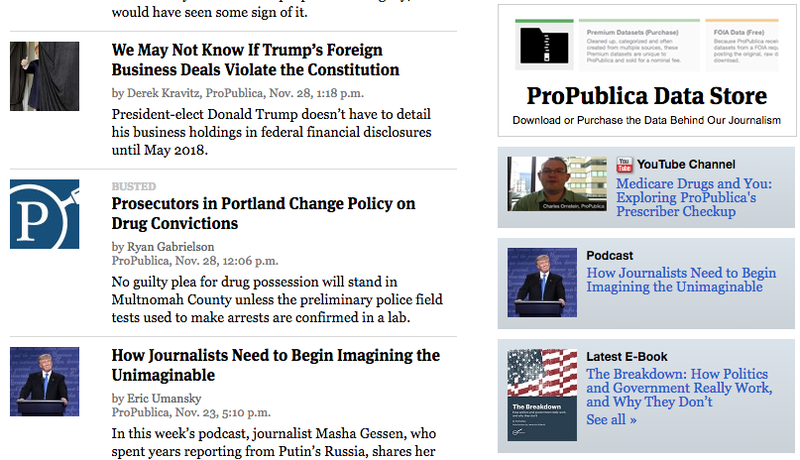 Articles featured on ProPublica include everything from how/why Trump is violating the constitution, hate surging online and in person to how the people being appointed are not “clean” in their own right. 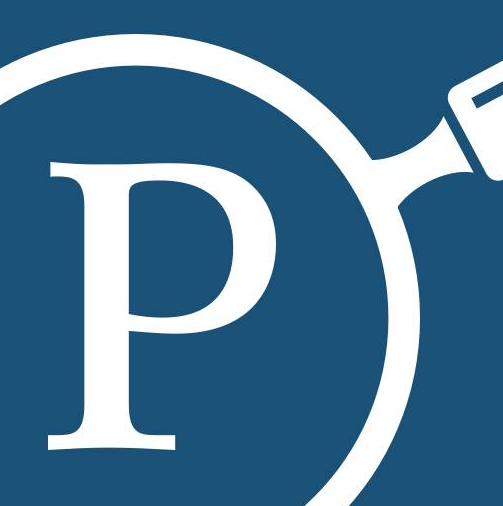 ProPublica has a goal of shining a light on stories with a “moral force” and are aiming to prove that just because someone is in power, does not mean they’re using it for good.